If you are looking for the best food for English Bulldog puppies right now, you are definitely not alone! These dogs are currently a hot number four on the American Kennel Club’s most popular dog breed list. And in breaking news, a young English Bulldog just took home the “best of breed” at the 141st Westminster dog show in 2017. There is no denying that the English Bulldog is enjoying a wave of popularity right now. But if you are caring for an English Bulldog puppy, you also know that this is a dog breed with some special health and feeding needs. When a dog has a very short muzzle, this can present some challenges when it comes to picking up food, as well as chewing and swallowing it. After all, when they eat, dogs don’t get to use forks, knives and spoons at the dinner table like we do! English Bulldogs can also struggle sometimes with swallowing their food and with taking in sufficient oxygen while they are busy eating. Plus, brachycephalic dogs often have teeth that are overly crowded together in their smaller mouths, leading to further chewing issues. All this to say – you will want to pay particular attention to how easy it is for your pup to enjoy his English Bulldog puppy food. This will minimize mealtime stress and maximize nutrient intake and overall health. 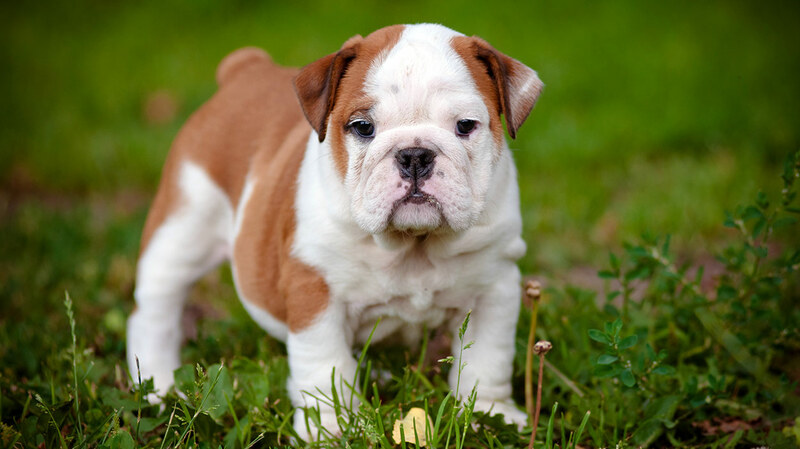 In this article, we look at the best food for English Bulldog puppies from several angles. These include nutrient content, kibble size and shape, recipe and overall palatability! Finding the precise portion size for your English Bulldog puppy is not an exact science! For starters, your individual dog may naturally fall towards the smaller or larger end of the size spectrum. Estimated size at adulthood can also depend on gender, birth order and parent genes. While it may sound odd at first, breeders often recommend using your puppy’s poop as a gauge of whether you are feeding her the right size portion! Soft poop or diarrhea can indicate digestive upset or too-large portion sizes. Nice, firm, well-formed poop lets you know you are hitting the mark on both food and portion size. Your breeder and your vet can advise you on the right portion size for your English Bulldog pup as they grow. Veterinarians and English Bulldog breeders generally recommend feeding your English Bulldog at least three times per day for at least the first four months of life. If your breeder has your puppy on a different feeding schedule, talk with your vet about whether or not to transition to a new feeding schedule. Otherwise, a morning feeding, an afternoon feeding and an evening feeding is a good schedule to begin with. Around 5 or 6 months of age, if your vet agrees, you may want to reduce the daily feeding schedule down to twice per day. Brachycephalic dogs like English Bulldogs have short mouths with an elongated under-jaw and (often) very crowded adult teeth in a smaller, shorter mouth. 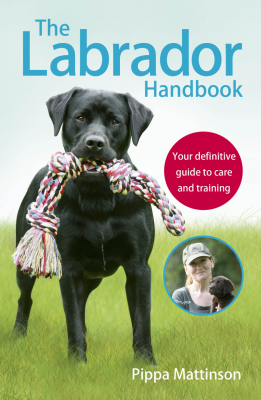 This can create difficulty grasping, picking up and chewing dog food. Which makes meal times frustrating indeed! When shopping for dry Bulldog puppy food, rounded, triangular or other unique-shaped kibble can be easier to pick up than the traditional square kibble bits. Here, you may want to ask the breeder or your veterinarian for English Bulldog puppy food suggestions that will be easier for your pup to pick up and enjoy eating. Something else to consider if your English Bulldog puppy is having a particularly tough time with meals is to mix dry kibble with some nutritionally balanced wet puppy food. Some experts say this combination makes for the best food for English Bulldog puppies! These three brands make some of the best food for English Bulldog puppies. You will notice each food is enriched with special nutrients, minerals and vitamins that your English Bulldog puppy needs to develop healthily in every way. 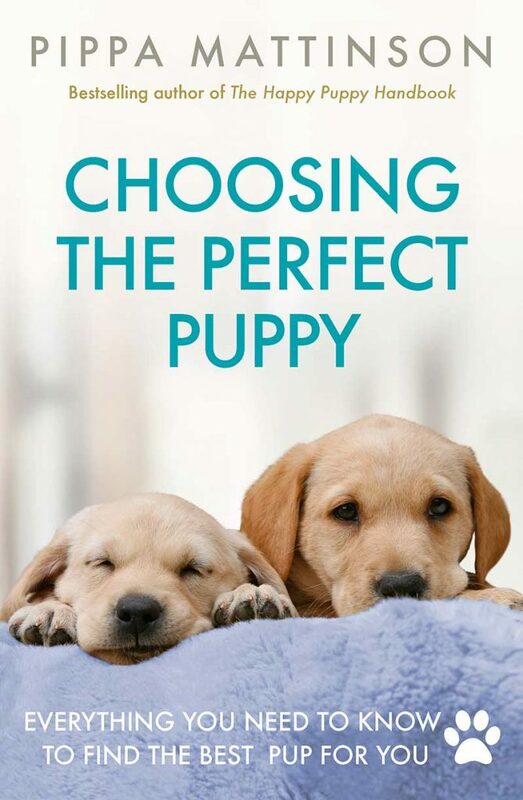 Royal Canin is one manufacturer that does an excellent job of creating tailored recipes for the unique needs of different puppy and dog breeds. Also, this interesting S-shaped kibble is rounded and thus easier for your puppy to pick up. And this recipe includes lots of vitamins, minerals and glucosamine/chondroitin to help your puppy develop strong joints and muscles. When it is transition time, you can make the switch to Royal Canin Nutrition Breed Health Nutrition Bulldog Adult dry dog food, which has the same unique S-shaped kibble. IAMS has been a vet-recommended staple puppy and dog food for many decades. You can choose from medium or large breed puppy food depending on your Bulldog puppy’s estimated growth (ask your veterinarian for help here!). This recipe features real protein, superfood antioxidants, whole grains, DHA and plenty of vitamins and minerals. (DHA is an omega-3 fatty acid which supports brain, eye, and immune development, and protects against heart disease). The recipe abides by all of the dog food guidelines established by the Association of American Feed Control Officials (AAFCO). When it is time to transition, you can simply switch to IAMS Proactive Health Adult Large Breed Dog Food. This highly rated and popular puppy dry dog food features triangle-shaped kibble interspersed with bits of real chicken, which is the first ingredient. This food includes DHA for healthy brain and vision development and plenty of vitamins and minerals, including antioxidants, calcium and phosphorus for healthy bones, joints and immune system function. When it is transition time, you can just switch to Purina Pro Plan Focus Large Breed Formula Dry Dog Food. As we mentioned earlier, the best food for English Bulldog puppy often ends up being a combination of dry puppy food mixed with a bit of wet puppy food. This combination not only adds in extra hydration in case your puppy isn’t drinking enough water, but it also makes learning how to grab and chew the dry kibble just a bit easier! For both puppies and adult dogs, wet food can be more palatable (i.e. yummier) than dry kibble. So in the unlikely event that your English Bulldog puppy is a picky eater, wet food can often help in this arena as well! This highly rated, popular puppy wet food features real chicken in a complete and balanced nutrition puppy formula. This is a great choice to mix with the Purina Pro Plan dry kibble to help your English Bulldog puppy along with learning how to grasp and chew solid food! This very popular and highly rated wet puppy food features chicken and barley in an easy-to-digest, nutritionally balanced formula created by food scientists and veterinarians. There are no artificial ingredients or by-products in this wet food either. This is a great choice to mix with Hill’s Science Diet dry kibble as your English Bulldog puppy gets used to eating like a big dog! This 100 percent complete and balanced nutrition for puppies is designed to stimulate the appetite while building the immune system. Packed with vitamins, lutein, taurine and fish oils, your English Bulldog puppy will have the nutritional support to make the extra work of eating worth it. This is a great choice to mix with Royal Canin Bulldog puppy dry food for a little extra mealtime incentive! Treating food allergies in puppies often requires two phases: allergy testing and a limited ingredient diet. One of the known triggers for food allergies in dogs is grain. So the best puppy food for Bulldogs who have food allergies is often a grain-free diet. These dry puppy foods are each grain-free and highly recommended by puppy owners. Some English Bulldog breeders swear by Taste of the Wild food, stating it gives Bulldog puppies the right blend of high quality protein and superfoods without any grain or additives. 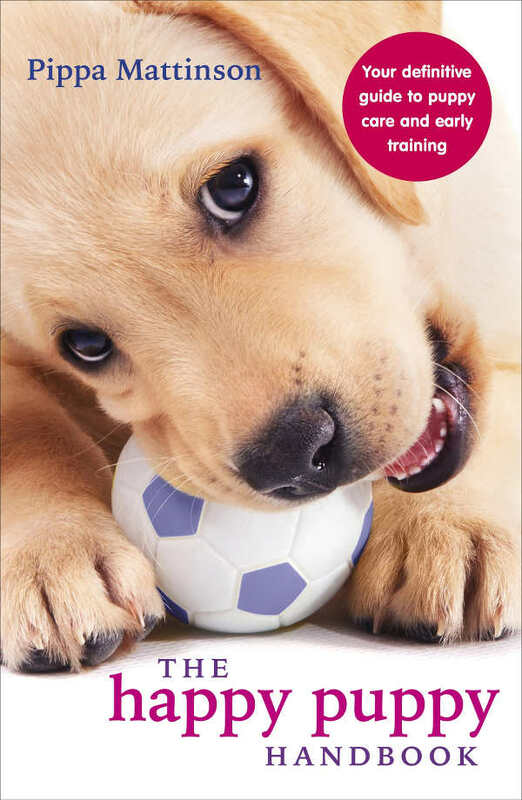 The kibble is rounded on the ends, which is good for helping your puppy breeze through mealtimes! This grain-free recipe features real protein as the first ingredient, plus DHA and plenty of vitamins and minerals to help with digestive support and immune system health. Merrick’s puppy kibble is rounded, so this is also a good choice for your Bulldog puppy as it is easier to pick up and chew. This grain-free puppy food recipe is made with real whole chicken in a high protein recipe that also features veggie and fruit superfoods. It also includes plenty of vitamins and minerals in the Blue Buffalo company’s proprietary puppy blend. The kibble is a unique triangle shape which can be easier for your puppy to grab hold of and pick up. Finding the best dog food for English Bulldog puppies can sometimes be a challenge because of their unique anatomy, which can sometimes lead to digestive disruption. If this happens with your puppy, your vet might recommend choosing a limited ingredient diet (L.I.D.). A limited ingredient diet may ease tummy upset, gas (something English Bulldogs are known for), diarrhea and other symptoms of a sensitive stomach. Choosing one of these extremely limited ingredient puppy foods may also help get your puppy’s digestion back on track. Be sure to ask your vet about these options if you have concerns about your pup. This is an extremely pure, protein-rich puppy food that features freeze-dried raw protein with a handful of produce superfoods. There is very minimal processing and no artificial additives of any kind. The kibble is both round and rectangular, offering a nice mix of shapes to help your English Bulldog puppy grasp it more easily. This very simple puppy food recipe features pure protein, digestion-friendly pumpkin, sweet potato and peas and plenty of vitamins and minerals. There is no corn or beef, both of which can be a source of digestive upset in puppies. Dog owners say it really does help with sensitive stomach issues! Hill’s Science Diet has long been a vet-recommended staple in the dog health community. This limited ingredient puppy food comes in two recipes: chicken and oats or lamb and rice. Both recipes include plenty of glucosamine and chondroitin, calcium and phosphorus and vitamins and minerals to support healthy joints, bones and immune system. 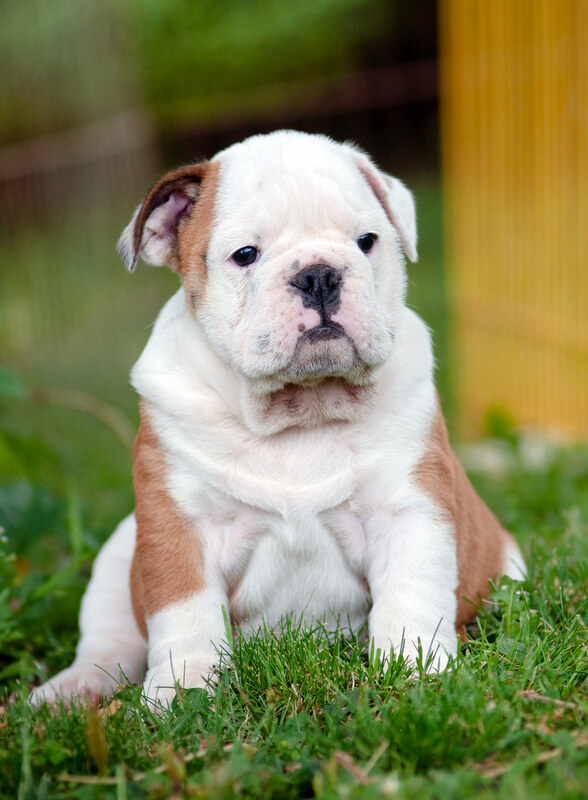 Have you found your new best dog food for Bulldog puppies while reading through this article? We know it can be challenging – anxiety-producing even – to find the best food for a dog with the short muzzle type. But our goal is to ease any frustration you may be feeling and give you good, solid information to work with! Whether you decide to pick a dry and wet food combo from this list or take it to your vet or breeder for a consultation, your English Bulldog puppy will be the stronger and healthier for it! 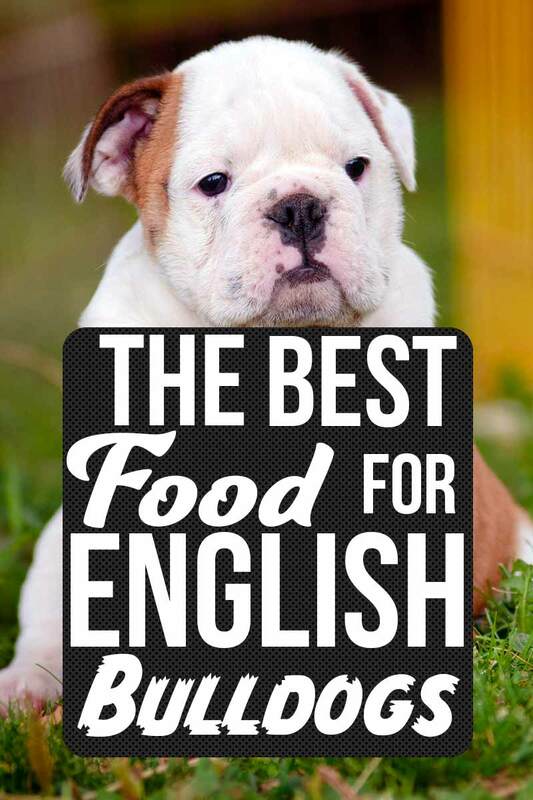 Let us know what food you end up choosing for your English Bulldog and how your furry love likes it. 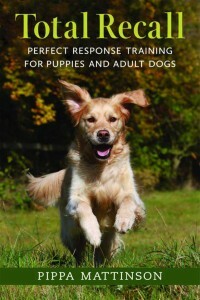 We love to learn from our readers and their pups! Godfrey, R., BVetMed MRCVS, et al, “English Bulldog: Brachycephalic Airway Obstruction Syndrome (BAOS),” Universities Federation for Animal Welfare (UFAW), 2011. Pederson, N., “Scientists warn about health of English Bulldog,” BioMed Central, 2016. Sodhi, N., “English Bulldogs: high in popularity, low on genetic diversity,” Australian Veterinary Association, 2018. Ray, B., “Bloomingdale Bulldog wins best of breed at Westminster Kennel Club,” Savannah Now, 2017. Chandler, M., DVM, “Dog Nutrition: The Science Behind How Your Dog Eats,” The Telegraph, 2017. Esposito, L.A., DVM, et al, “How to care for your English Bulldog puppy,” Richmond Valley Veterinary Practice, 2016. WBB, “English Bulldog Feeding,” WB English Bulldog Breeders, 2016.